This may seem a little sudden (especially considering the timing of the last post), but I've finally come to a consensus after plenty of internal (and external) debate. SpeedCore Autoblog is officially closed as of April 18th, 2016. I hope that you all enjoyed the blog as much as I enjoyed running and writing it. It was amazing fun while it lasted, and it's been quite the unique experience, but I've decided that it's finally time to move on. Life is calling, and I'm not going to be one to let it move on without me anymore. ​Good night everyone, and thanks for reading. It's been a while, hasn't it? That's my fault, sorry. Haven't had all too much time (or enough effort left) to update the site recently. Anyway, I'm here to let you guys know that the blog is now on hiatus until further notice. Once again, I apologize to all of you readers, but I need to focus my efforts into high school and getting my life on track. As of right now, there's no ETA for the end of the hiatus, but I'll be sure to let you know when I'm ready to continue. Also, on the future of the blog: I'm thinking about changing up the blog to mostly focus on World of Tanks reviews. I realize this may disappoint some of you guys, but I seem to get much less enjoyment out of playing Forza Motorsport 5 or Horizon 2 than I used to, and buying all of the new titles could get expensive. 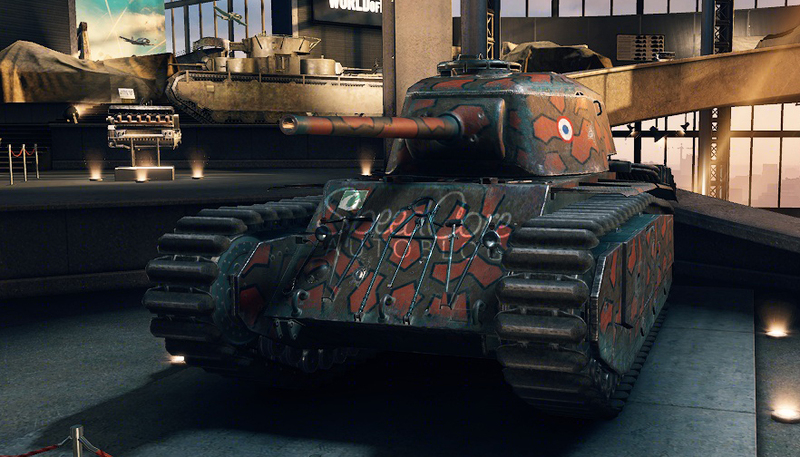 On the other hand, I play World of Tanks a lot more frequently, and I generally find it much easier to write reviews on vehicles there rather than the cars in Forza. Don't get me wrong, I still love cars, but... I think it'd be best if I write about the game I enjoy playing (and actively play). Anyway, I suppose that's it for now. Sorry for such a long period of time without any real updates from me, but I'll be sure to keep you all posted as to when I'm ready to continue the blog. ​Goodnight, all! I'll be back ASAP. UPDATE: Updated to work with WoT 9.14. Enjoy! Some of you may have seen that WG recently made the T95E6 and M48 Patton HD (lol'd @ making a tank nobody has into HD). 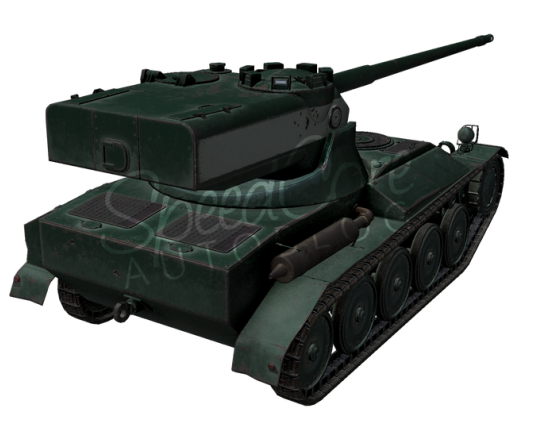 However, despite the mostly-obscure T95E2 literally being a T95E6 with the M48 Patton's turret and stock gun, it isn't HD! What is this?! Well, I guess I'm here to change that. 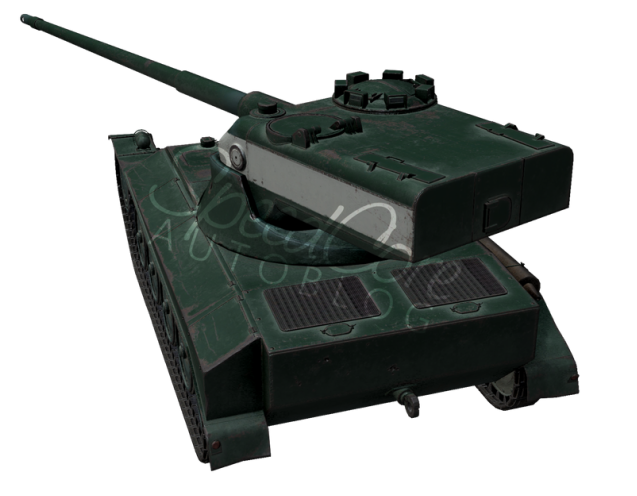 I've combined these two models to create a proper HD model for the T95E2! 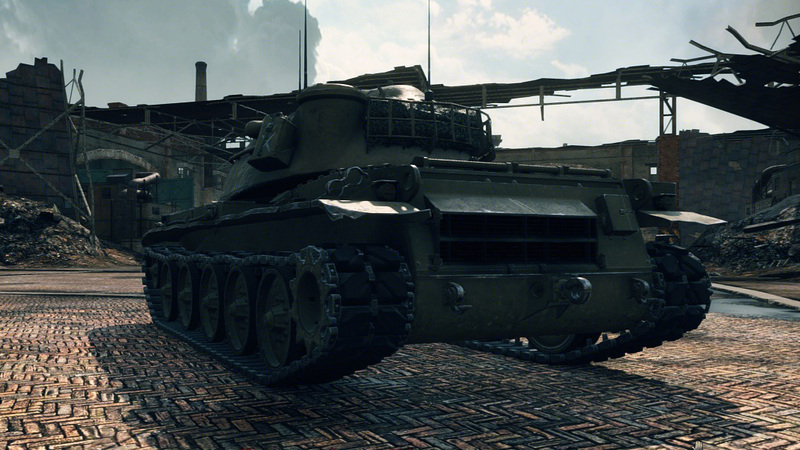 Now, you can enjoy driving your super-obscure-and-hard-to-obtain(-ish) tank in FULL HD QUALITY! And before you ask, yes, camouflage paint and turret emblems/inscriptions do work, but, sadly, I haven't figured out how to make the clan icon on the hull work yet (tank scripts are fun!). Also, the suspension moves/flexes properly, just like the rest of the HD tanks. 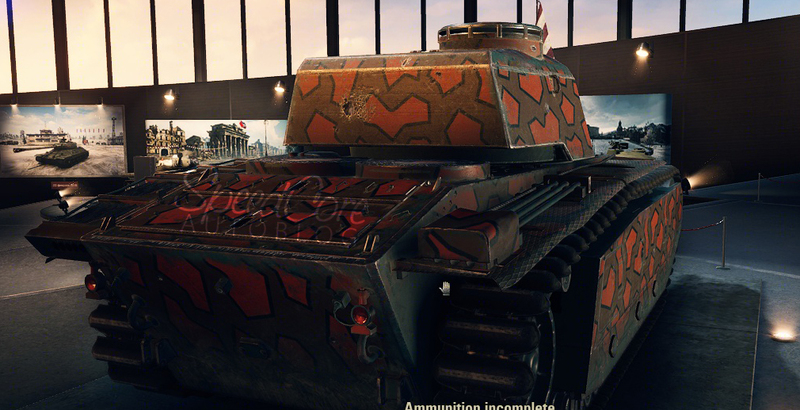 Uses the default textures from both tanks. 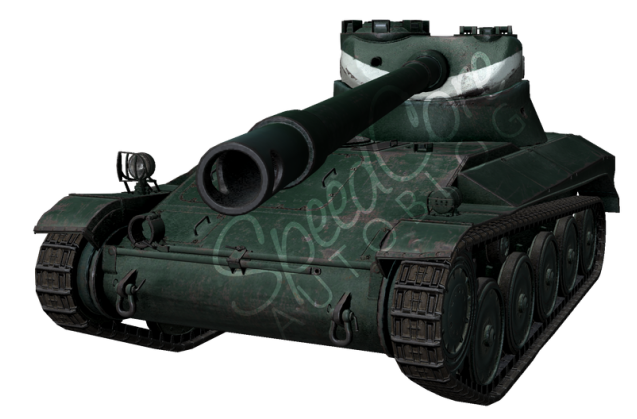 Enjoy your newly-HD T95E2 (if you have one [or if you don't, I guess])! By the way, quick note to everyone: I should have another tank review coming up soon, albeit I'm not really sure when it'll be finished, as... well... I'm in my junior year in high school. 'Nuff said. 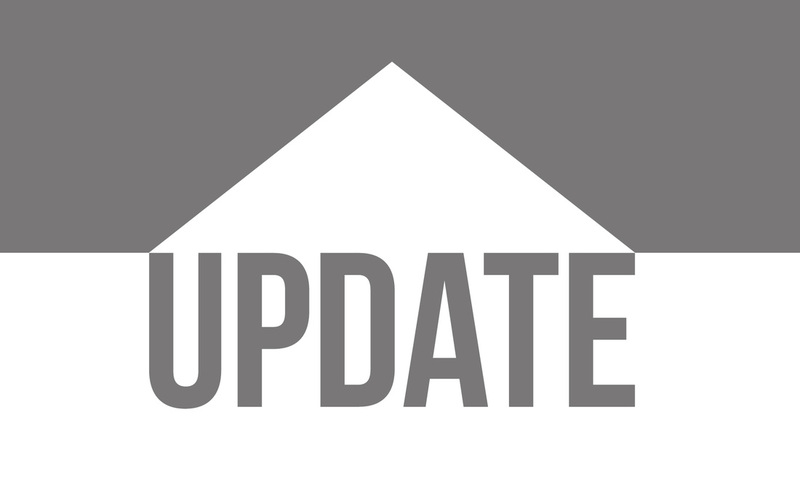 Site update! It's been a while, so I suppose it's time to update some stuff. - Changed the website logo again, but I forgot to post that as an update when I actually did it. I think I'll be sticking with the latest one based on the feedback I've been getting. - Another thing I forgot to post about: A "Recent Reviews" section was added to the homepage with the 3 most recent review posts (in chronological order, top to bottom). - Added a Twitter feed from my profile, as I tend to post most of the small updates and/or announcements about the site on there. - Gallery page removed for now, as it was mostly unused. - Reworked the homepage intro text, as it was a little... outdated. - The "Reviews" landing page is broken, yet again. Tried a few ideas out, but none of them seemed to work, so for now, it's staying broken. I realize I haven't actually fixed this ever since the page was created in mid-2014, but it'll happen once I figure it out. As always, comments and criticism are highly appreciated. I'll take any feedback I can get to make the site better for you guys. 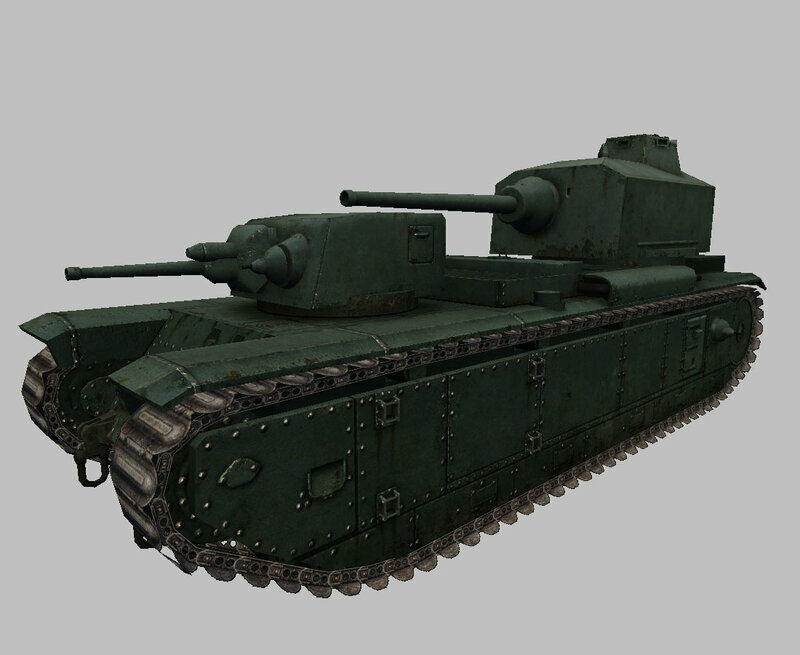 You can expect to see this change in patch 9.10 of World of Tanks, along with the other HD models shown at the first link and the Japanese heavy tank branch (check out RitaGamer's Status Report blog to see them). - Several pages were removed: The Crew, NFS Most Wanted 2012, NFS Rivals. Posts from the NFS Most Wanted 2012 page were moved to the archive page. - The redirect link to the [CONO] clan page was removed as it was pretty much unused. - Posts from the NFS Most Wanted 2012 page were moved to the archive page. - A new site logo was added! - A placeholder section for the "upcoming posts" has been added to the homepage. This will be changed at some point when I can figure out how to design it properly. - The "Reviews" landing page is... still broken. Whoops. I'll fix that Soon™. This is a bit of a different post compared to the norm here on SpeedCore Autoblog (sorry for the lack of updates again!). 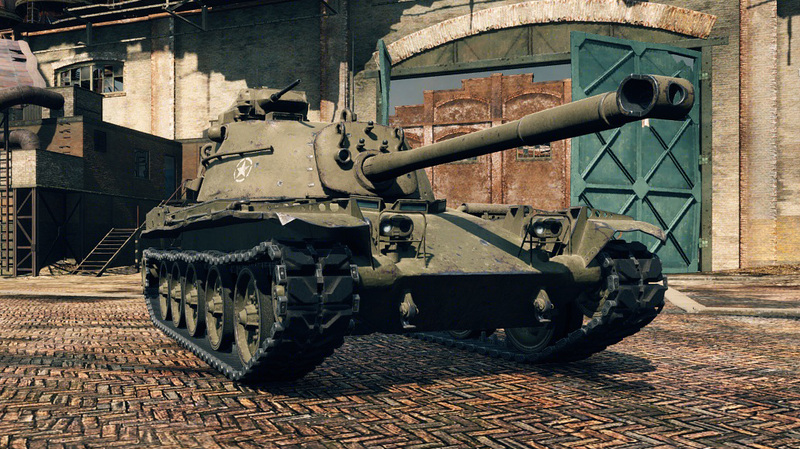 As some of you may know, the 9.7 Common Test server for World of Tanks started last week. Today, an update was released to the common test (CT2), which allows players to test the new T-54 Mod. 1 and M56 Scorpion (finally! ), along with some other fixes and tweaks. 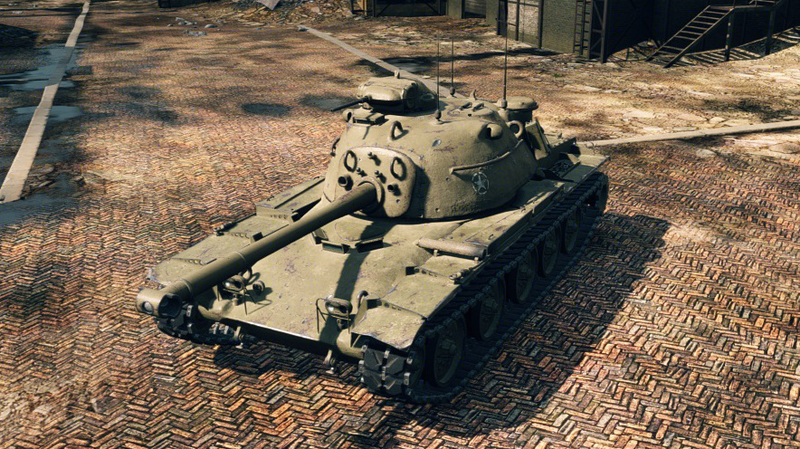 However, something not mentioned in the patchnotes was this: the "AMX 13 57 GF", or, simply, "AMX 13 57F". 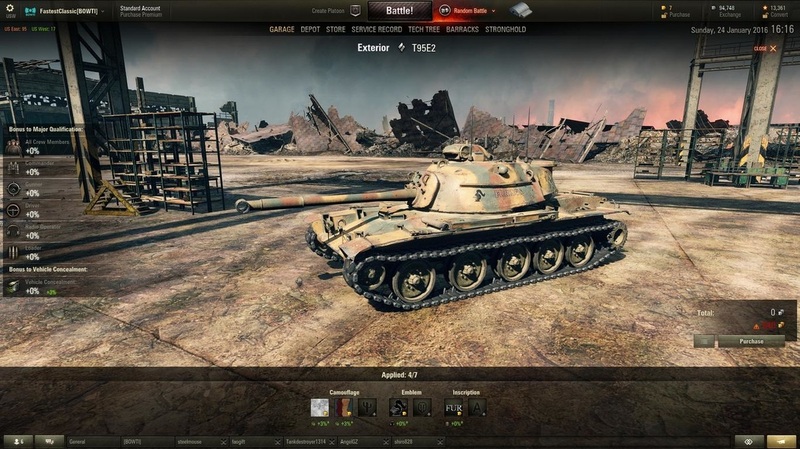 Basically, it's the AMX 13 57 (seen here on FTR or in WoT Tank Inspector), but the icon has changed, and the visual model was missing from Tank Inspector. With a bit of work, however, I've managed to get some pictures of it. 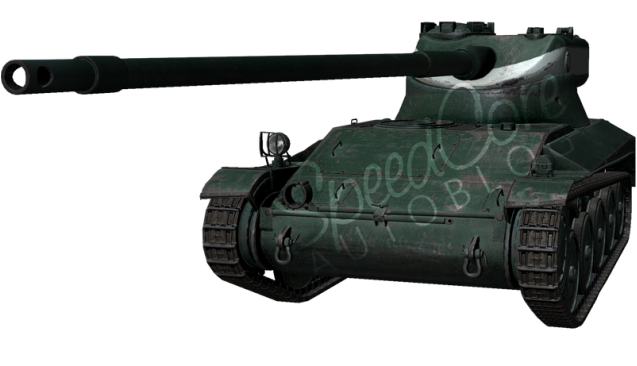 As you can see here, it's basically the 13 57 but in a dark green shade (instead of the regular French light blue) and with a white stripe on the turret. Personally, this looks really interesting (both appearance-wise and speculation-wise). The name seems to signify that it'll be some sort of WGL Grand Finals reward, but a few people interpreted it as some sort of "Grand-Finale" Personal Mission reward vehicle. 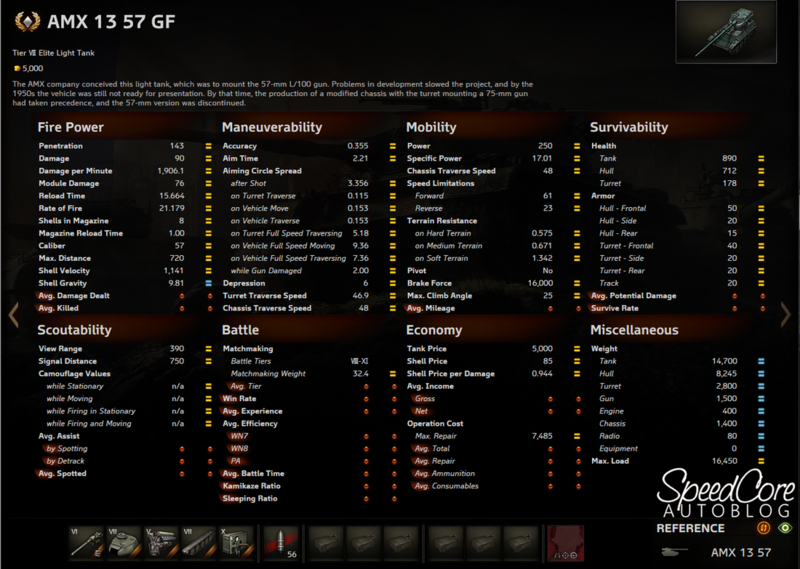 Anyway, there really isn't much else to say about this tank; it's the same (stat-wise) as the standard 13 57. Anywho, that's it for this bit. I'll probably post my thoughts on the Scorpion and T-54 Mod. 1 after I do some more testing on the CT server. Over the weekend, I had the privilege of stopping in at the Mullin Automotive Museum in Los Angeles. All I can say is: wow. What an experience. Each and every car was something to be admired. Hell, the smaller details (i.e. the furniture by Carlo Bugatti) were pretty damn cool. Now, instead of boring you to death by trying to describe each and every car, I took some (well, more than a few) pictures. Enjoy!